Fake news have become an unavoidable term when talking about (digital) media. They are seen as an effective tool of manipulating political discourse, a way for content creators to generate revenue from advertising and are easily widespread on the social media. The parliamentary group of social democrats in the European Parliament organised on Wednesday (06/09/2017) a conference to tackle the political and legal challenges linked to fake news and invited Ricardo Gutiérrez, General Secretary of the European Federation of Journalists, as an expert to the panel. Arnaud Mercier, professor of political communication at Panthéon-Assas University in Paris, said that fake news have become norms for many electoral campaigns, where “all arguments are good”, and tend to produce a lot of exaggeration; a characteristic, typical for populism. “Traditional media no longer have the monopoly. Social media are diminishing the influence of traditional holders of knowledge,” he said. In that light, Facebook and Google have become media organisations and not just a platform. “Fake news are also judged as being credible, because they are commented on and disseminated. In the latter, bots play a big role, since they create a lot of traffic,” he added. Mercier emphasized the need for consumers to be aware and critical of what they are reading and consequently stressed the importance of media literacy. MEP Petra Kammerevert, Chair of the European Parliament’s Committee on Culture and Education, agreed with Mercier, stressing how “trending” topics and “likes” contribute to the easier spread of misinformation. She recommended ensuring consistent implementation of existing legislation and highlighted the importance of getting more responsibility inside the civil society. “But we need to remain careful not to allow over-privatization,” she warned. In the most recent campaign of Martin Schulz, a German politician, only three of the ten most successful stories about him on Facebook on Twitter were based on real facts, reported Ingrid Brodnig, Austrian Digital Ambassador to the EU. Along with exaggerated headlines, fake news use pictures and quotes taken out of context and they soon become just one repetitive narrative, said Brodnig: “The more you hear it, the more you think it’s true.” She recommended audits of algorithms, with more consumer choice, advancing skills in citizens and more public funding for fact-checking. Christian Meyer-Seitz from the Federal Ministry of Justice in Germany talked about the Network Enforcement Act as a legal means for fighting fake news. The law forces online platforms like Facebook and Twitter to remove illegal hate speech posted by users. The European Federation of Journalists (EFJ) expressed concerns back in April regarding the adoption of the law warning that it will lead to widespread online censorship and limit media freedom. Senior member of the Public Policy team at Google Jon Steinber presented some of Google’s ways of fighting fake news. “Google News help people find quality news content, especially with the help of fact-check labels,” he explained. They try to promote quality journalism through digital tools and training where they work with different European organisations. When it comes to algorithms, they change the ranking so the authoritative sources are prioritised. UNESCO Director for Division of Freedom of Expression and Media Development Guy Berger agreed with Gutiérrez, adding that transparency is urgent especially when it comes to media ownership. 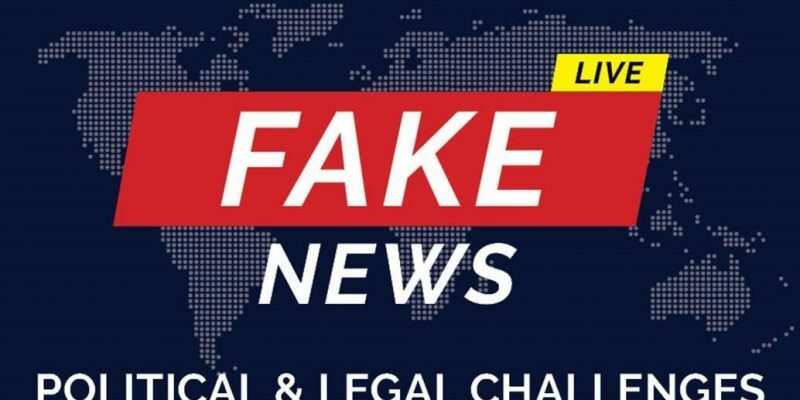 He concluded that the states should monitor the problem of fake news, prevent and protect them particularly where journalists are victims, prosecute fraud, hacking or incitement, but not criminalise “false news” or anonymity.